When the site of Hopetoun Crescent Gardens was Edinburgh’s botanic garden. 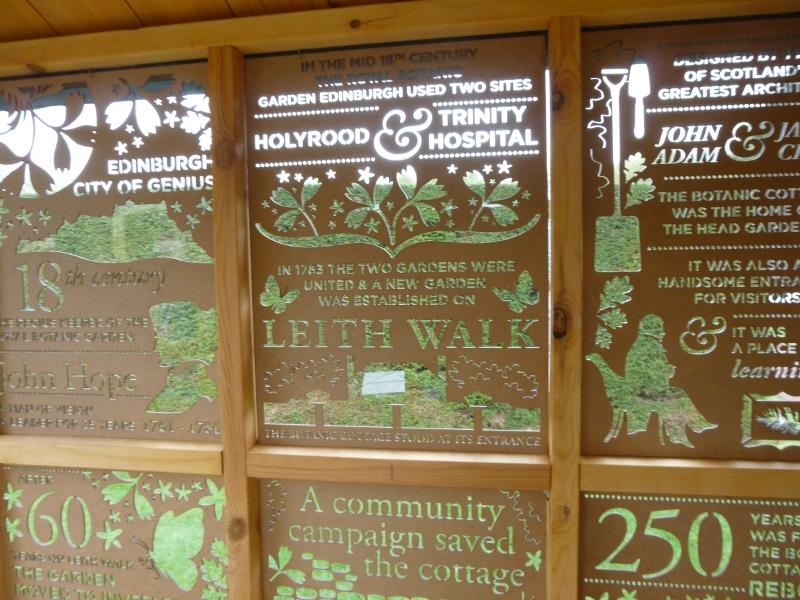 In 1670 two Edinburgh physicians, Andrew Balfour and Robert Sibbald, dissatisfied with the state of medicine in the city decided to establish a Physic Garden for the cultivation of medicinal and other plants. The site which they procured was a small plot of ground not far from Holyrood Abbey and, with the assistance of James Sutherland the first Intendant, it proved a great success. From there they acquired a second garden which was at Trinity Hospital near where Waverley Station now stands. There the Garden remained for almost 90 years, serving for experiments, the supply of specimens to students of medicines and the training of physicians and apothecaries. In 1761 John Hope (b.1725), Professor of both Botany and Materia Medica at Edinburgh University, was appointed to the post of the King’s Botanist in Scotland, and also, at a salary of £50, to the superintendentship of the Royal Gardens (Regius Keeper). It was clear that more space for the Royal Garden was needed and a new ‘out of town’ site off Leith Walk was secured. John Hope used his family influence, first with the Earl of Bute and later with the Duke of Portland, in securing this site. It was a canny choice of location: cheap, accessible and with a variety of soils including, as present day architects have rediscovered, a peat lense running fair and square through what is now Huntingdon Place. And so, in 1763 the plant collection from Trinity Hospital and Holyrood Gardens were moved to Leith Walk. Hope also obtained a permanent endowment for the new garden of £119. 3s and this was to greatly influence botanical education in Scotland.